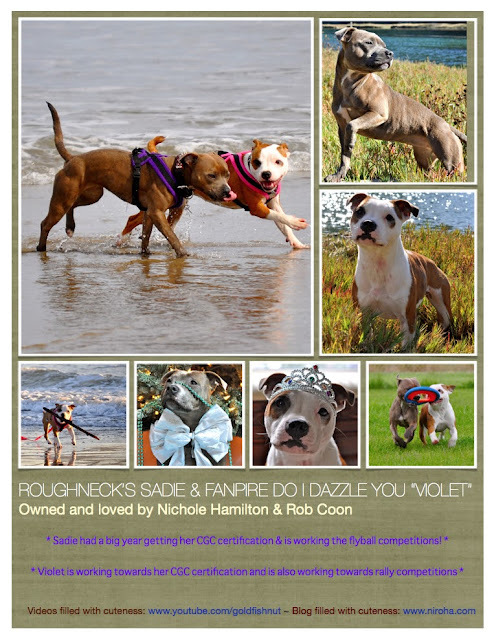 So every year the Staffordshire Bull Terrier Club of Puget Sound (SBTCPS) puts out an annual and I decided to buy a full page color ad to put up cute pics of my babies. I get to brag a little and it helps support the club. Seriously guys it is now 1pm and I have been working on this since 8am. I use a mac and I couldnt figure out what program to use to make this thing. I found this program (ipages) and it works great! Except for a few things - I can't figure out how to get it to the person in charge of the annual! The file is too large to send it in gmail and that's even assuming they have a program that can read an ipages document. So I saved it as a doc and sent it praying that it is readable. As a back up I've been trying to upload it as a google doc and that failed miserably. I tried loading it onto iworks website and the pictures didnt come through correctly (one picture was completely wrong, another was super pixelated). w t f.
I also found it tricky to get a screen shot. I had to make it ignore the "typos" and then was super quick to snap the picture so the different editing tools didn't show up in the below picture. Yes I tried to hide them. it didnt work. So after hours of work and 6 screen shots, here it is. Pardon me while I go get a stiff drink now and get ready for the christmas party I'm supposed to be hosting in a few hours.